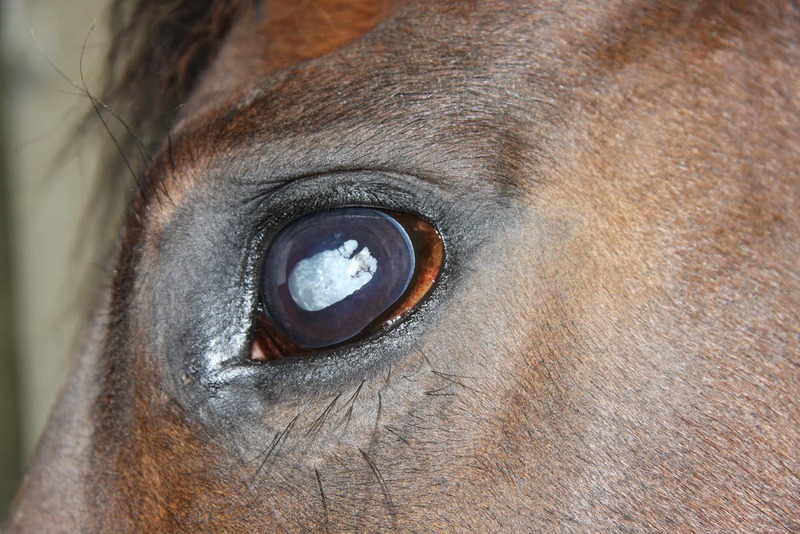 We offer an extensive investigation of the horse`s eye including basic ophthalmic examination, ophthalmic dyes and ultrasonography. 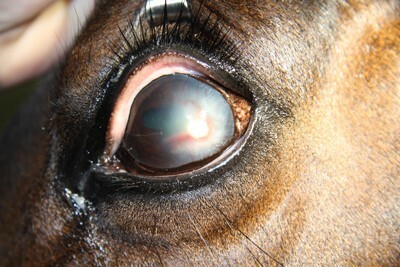 If required further diagnostic procedures as corneoconjunctival culture and cytology will be carried out. 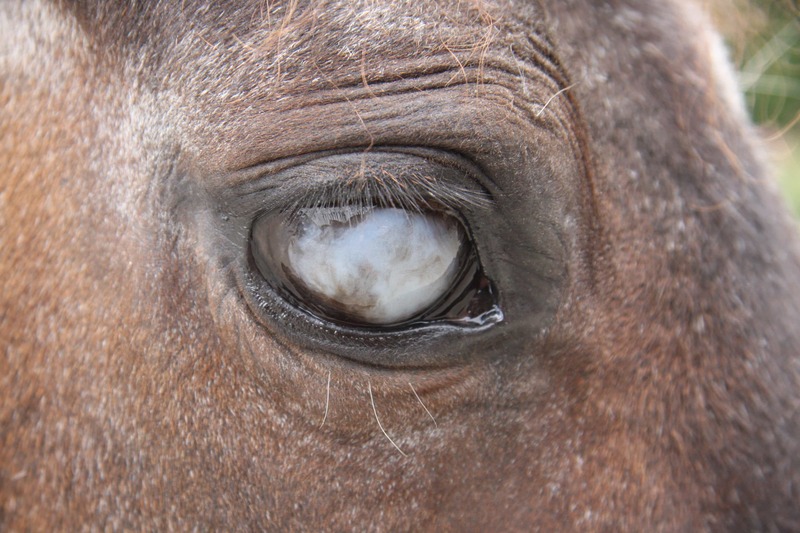 In case of miosis, corneal edema or cataract ultrasonography is the only way to investigate the posterior segment of the eye. Foreign bodies and injuries of the orbit can also be clearly illustrated with ultrasound. Beside the diagnostic our hospital offers conservative intensive care eye treatment as well as surgical treatment. Bacterial or fungal ulceratice keratitis needs intensive medical therapy (topical antibiotic and/or antimycotic ointments up to every two hours). 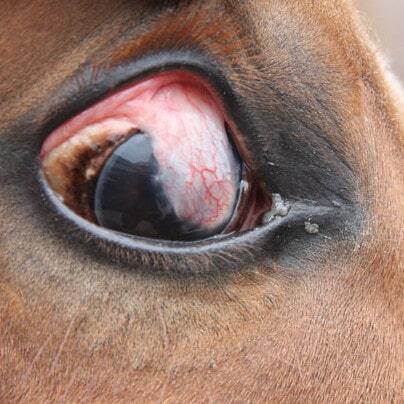 Most horses that have complicated bacterial or fungal keratitis should have a subpalpebral lavage catheter placed to allow frequent, well-placed treatment. Surgical treatment includes all kinds of fracture repair, tumor excision, keratectomy and conjunctival graft placement in case of severe corneal infections as well as bulbus ex. 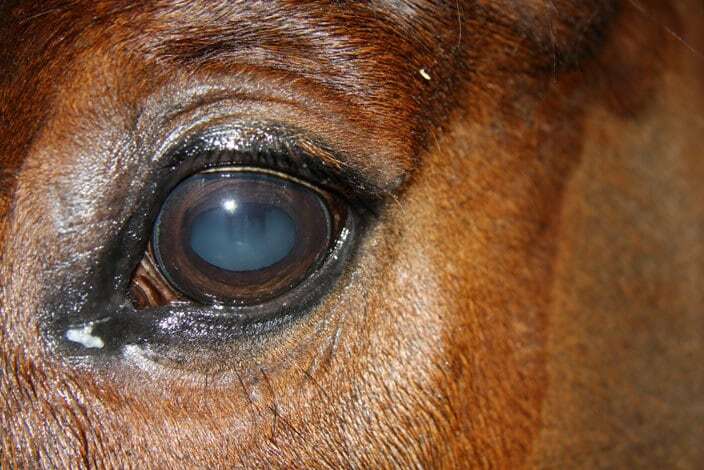 Nowadays a lot of these surgeries can be performed in the standing horse.